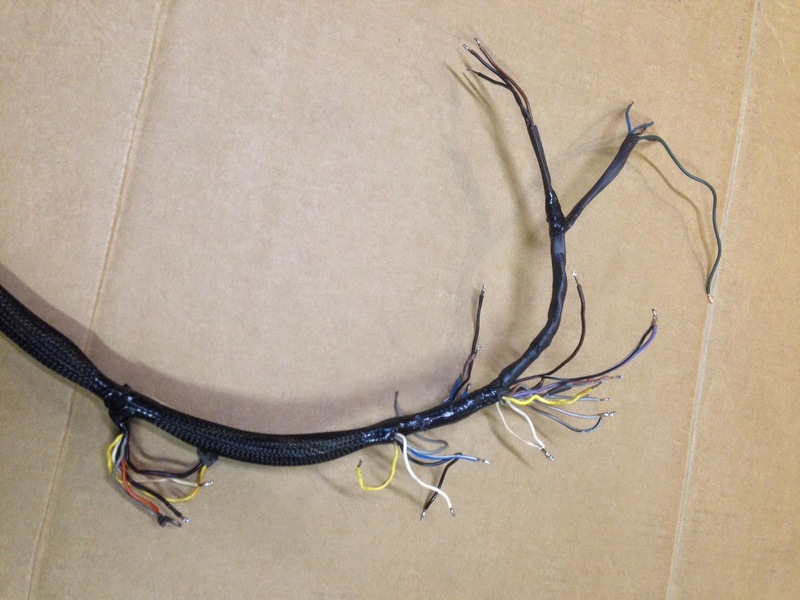 Five decades of wear, tear and storage have taken their toll on your wiring harness. You may not be aware of what damage lurks behind the frayed covering or over-sprayed paint on your car’s wires. If you are restoring your car, or just want to have reliable service, you'll need to spend some attention and money on your wiring harness. I decided to rebuild the wiring harness on my second car. Here’s what I learned and how you can rebuild your own in a 5 step process. 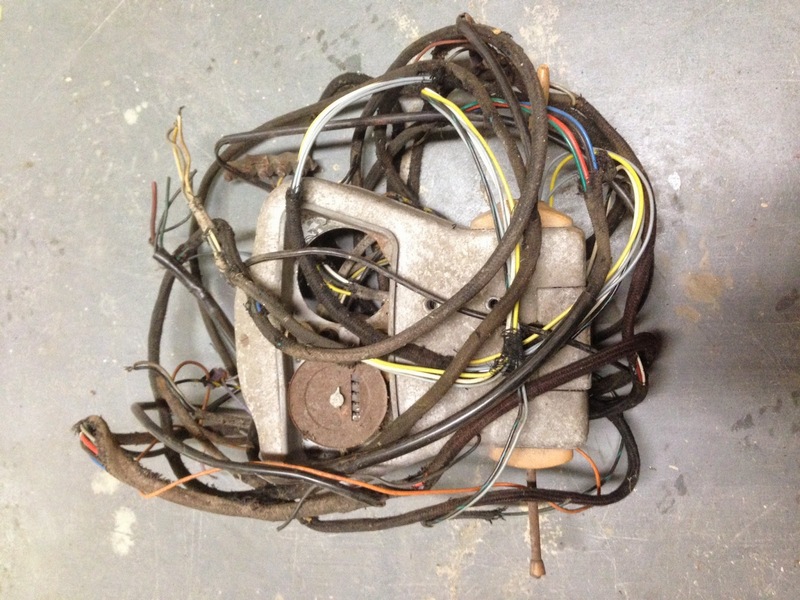 But before you start- Can you buy a pre-made wiring harness? The answer is yes. The German club sells one for 132.77 euros (about $155). It’s quite nice, I used one on my Heinkel-I. You can also get them from Autosparks in the UK for 140.24 pounds (about $215). However, I wanted to modify my harness, and for about 35 euros (about $40) you can repair your own. While it sounds complicated, it’s actually pretty easy. You should be able to disconnect everything and pull it though the dash mounting tube, as which point you can remove the dashboard and take it inside to work on it. You’ll have a mess that looks like the picture at the top of the page. 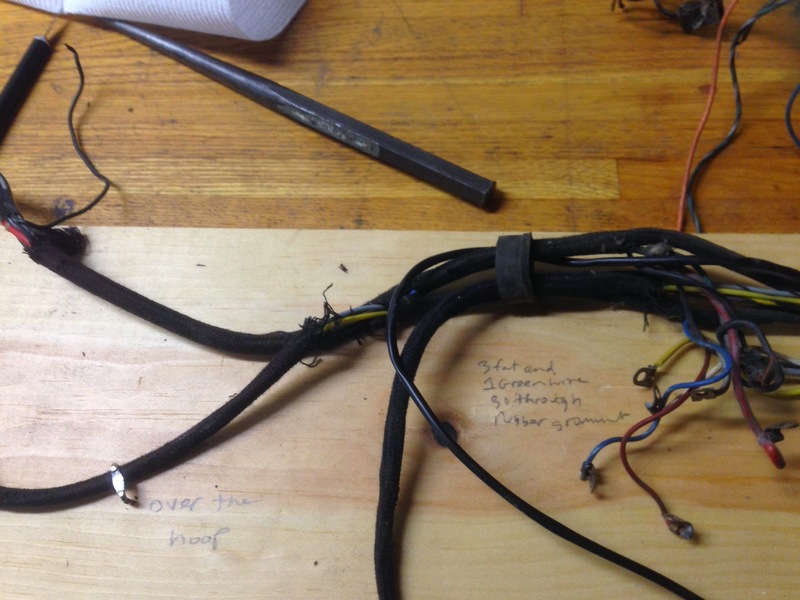 I’m restoring my second Heinkel car and decided to tackle the wiring myself. As I said earlier, I wanted to modify mine to add some additional wiring. The first thing I did was to lay out the harness and match it up with the wiring diagram so I could understand where all the wires went. Need a wiring diagram? Here's a great one you can download courtesy of John Ferguson in Edinburgh. I stapled the harness on to a 8 foot long board. End-to-end the wires stretch over 14 feet! Then I labeled parts on the board that corresponded to branches or special features. Some of the wiring parts seemed to be missing. Now that you have it spread out you can begin taking it apart. First, strip off the old cloth fabric. I have three different wiring looms and on each one the cloth was powdery and deteriorated. Removal is a time consuming task. I found an exacto knife and a scissors worked the best. 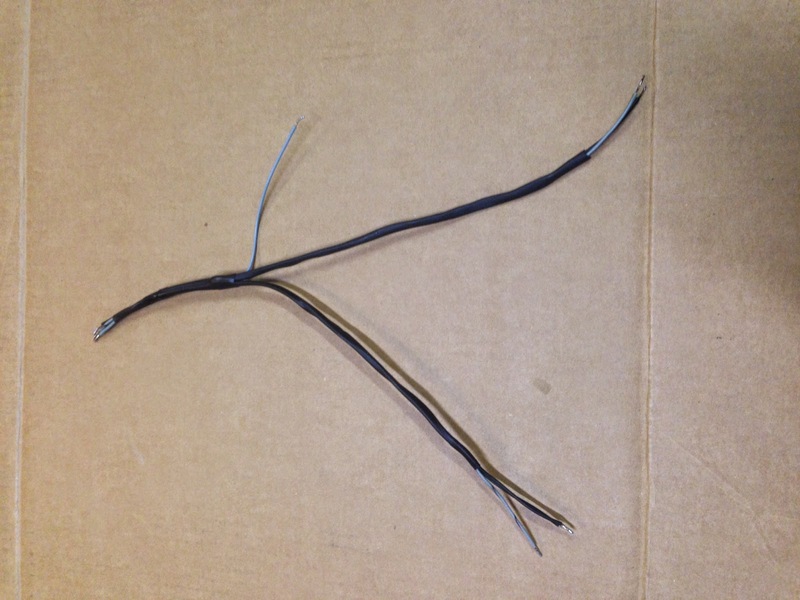 Second: Identify any wires needing replacement. In my case the harness that looked the best had one very bad spot right in the middle of the wires, making a major section of the harness useless. I had to strip another one and use that one. Last, make note of any missing connections. You’ll want to reorder those. 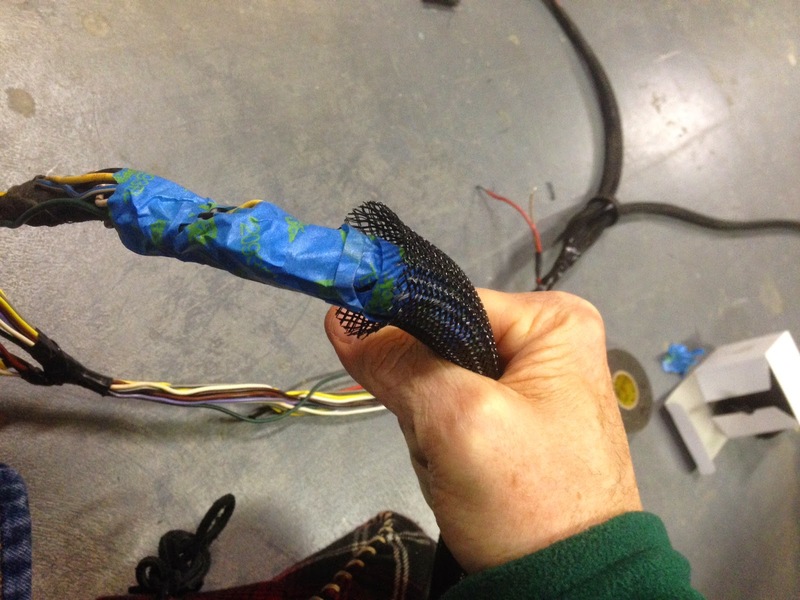 You will need to order woven loom, heat shrink wrap, GOOD electrical (or friction tape), perhaps wires themselves, and connectors. 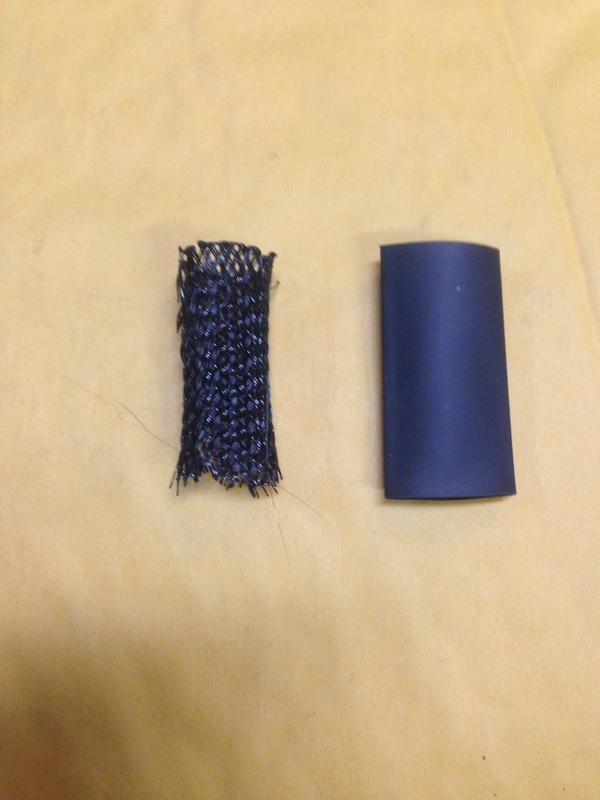 For the loom: You have a choice of plastic or cloth expandable mesh. The plastic is easier to use over long lengths than the cloth and has the woven look. If you really want cloth you can find some specialty companies that will thread your wires through it for a fee. 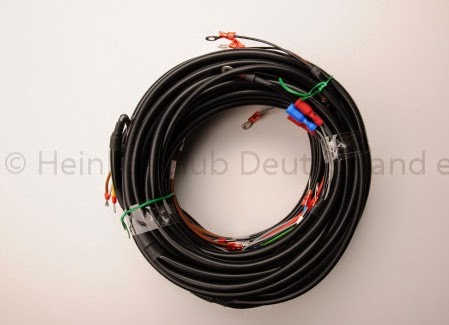 The new German club wiring harnesses use neither, instead they use a PVC tube and run the wires through that. I went with a larger sizes than these (I used 1/2, 3/8, and 3/4 respectively) because I decided to modify my harness to carry 5 extra wires. I added a wire for a tachometer, two wires for rear turn signals, and two wires for “ground effect” LED interior lighting that I intend to run under the windows (if you’ve ever driven your car at night you’ll know why extra lighting would be beneficial!). I used the plastic mesh instead of cloth. I really liked using the plastic as it was flexible and easy to use. The seller was great and put together everything I needed. 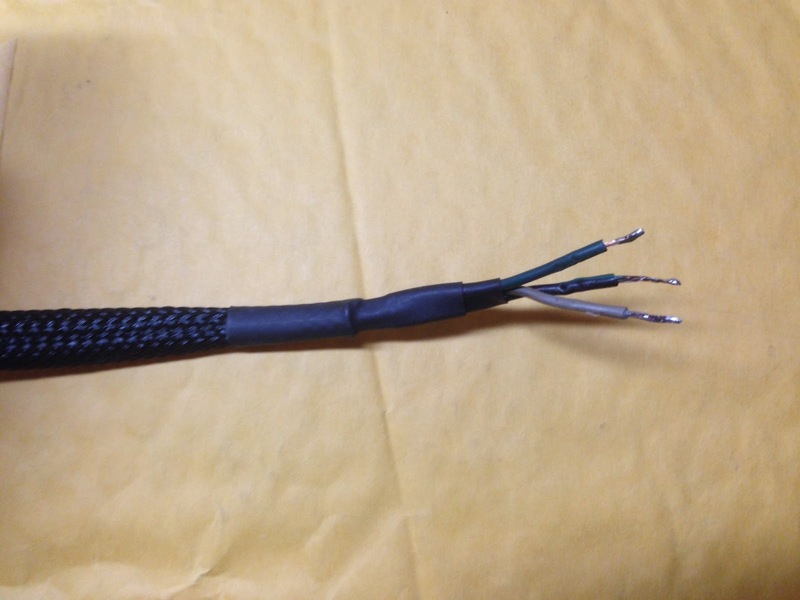 You’ll use the most shrink tubing for the brake switch light wire, and the rear cowl lighting. You will also use the tubing to secure the ends of the wire to the loom. The best source of shrink wrap in the US is Harbor Freight Tools- you can get an assortment of 4’ lengths in the sizes above for about $6.00. You will also need electrical tape. On my original harnesses the Germans used friction tape where wires branched, and the Irish loom used cloth electrical tape. Both were holding over 50 years later. Electrical tape varies in quality and the prices reflect the differences. 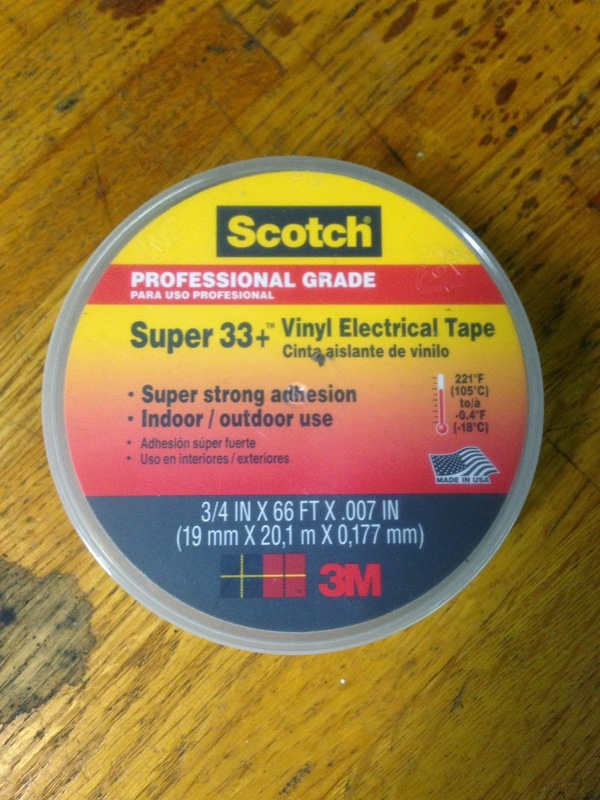 I used the tape shown below. The key thing is temperature resistance; a lot of cheap tape has no rating, or is rated from between 0 and 35 degrees C, which is not enough for a car. Now that you have the parts it’s time to assemble. I start from the thinnest strands and work my way up to the wider diameter areas. My reasoning for this was it would be easier to overlap wider widths over the smaller areas and then shrink wrap for a weatherproof seal. Here are some pictures. On branches you will need to use electrical tape. I found that if I could use electrical tape, then shrink tube it looked a little cleaner. The last step is to finish the wire ends. On the original wire harnesses these were tinned (soldered). The new German harnesses use crimped on ferrules which are a great solution. Since I didn’t want to buy ferrules (or the expensive crimping tool I’d probably never use again) I decided to tin the wires. The concept of tinning wires is pretty simple- strip the wire, use flux core solder, heat the wire from underneath, and let the solder melt into and along the wire. The problem you have with old wires is corrosion. When I stripped some of the wires I noticed the copper was heavily tarnished. Solder does not stick to tarnish or corrosion, so you have to remove it. You have two options to remove corrosion, mechanically removing (by sanding it) or chemically removing it. I used both. Acid Bath: In one jar put a tablespoon of salt in vinegar. Shake it, then add more salt until it precipitates. Neutralizer: In the other jar put a tablespoon of baking soda in hot water. Shake it, then add more baking soda until it precipitates. Put the wires in the acid bath and swish them around for about two minutes (I count to 100 slowly). Immediately take them out and stick them in the neutralizer and count to 20. Dry the wires and you are ready to solder. If the wire is still tarnished I suggest sanding it to remove most of the tarnish, then do the acid treatment. You will need to crimp on connectors for the brake light switch, regulator box connection, connection to rear cowl wiring, and some dashboard wiring. I suggest attaching all of these AFTER you run the wires through the car. It will be a lot easier. Length: The new German harnesses are shorter as the do not run the wires to the control box all the way around the back of the car to the right side where the box is located. On the German harness you have to run the appropriate strand along the firewall to the box. Number of Strands: The original German harness had three independent strands the never connected except at the dash. The Irish harness combined the two headlight strands into one harness. The new German loom combines into one mega-strand as it enters the dashboard support tube. Covering: The Irish and original German used cloth looms with a transition to vinyl where the loom is exposed. The new German uses PVC or plastic throughout. 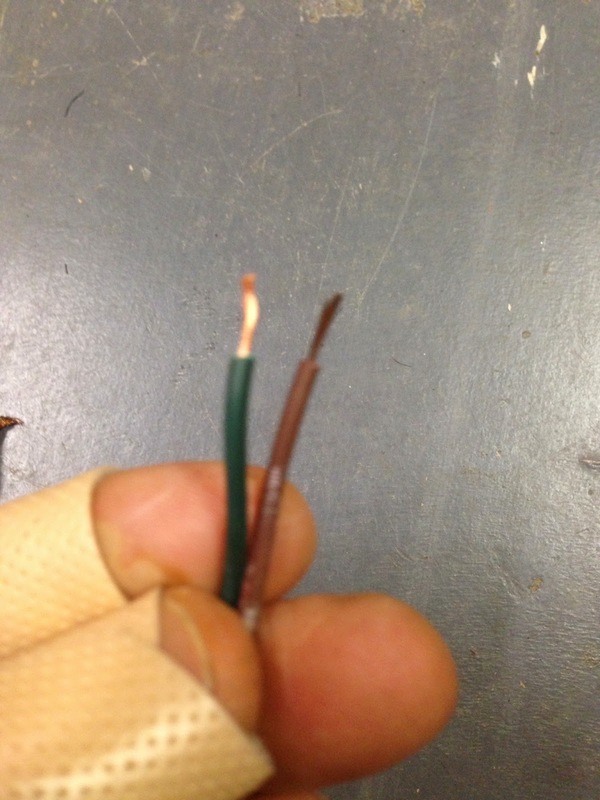 If you've run new wires or done any splicing you may want to test them for continuity. Otherwise you should be ready to go!